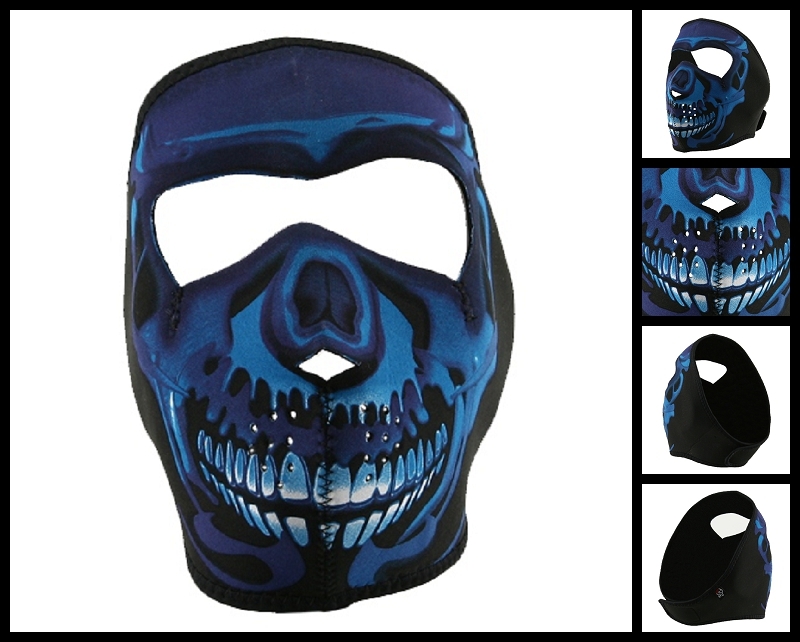 I heard the Blue Skull Neoprene Face Mask whisper "please adore me"
Our Blue Skull Biker Facemasks features full coverage of the face and ears. The Stretchy neoprene material is warm and water resistant. The Blue Skull Pattern is reversible to solid black material. Velcro closure ensures great fit with goggles, with a helmet or without. One size fits most.